These dog training tips have been sponsored by Pet Supplies Plus and The Motherhood but all opinions expressed here are my own. Back in my life before I had HUMAN children I was totally devoted to my canine kids. My husband and I were active in many different dog sports including flyball, agility, obedience training, and disc dog competitions. We had two shepherds, a large truck and our weekends were spent traveling from one dog trial to another. It was an amazing amount of fun, for both dogs and humans! Then, my husband and I had our first baby and things got a little tough. We lugged around the playpen and baby toys from one show to another for a while but add that to the large dogs, crates and gear and we finally had to throw in the towel on our professional dog training days. When our beloved shepherds passed away from old age, our home was lost without a dog to love and we brought home a puppy. 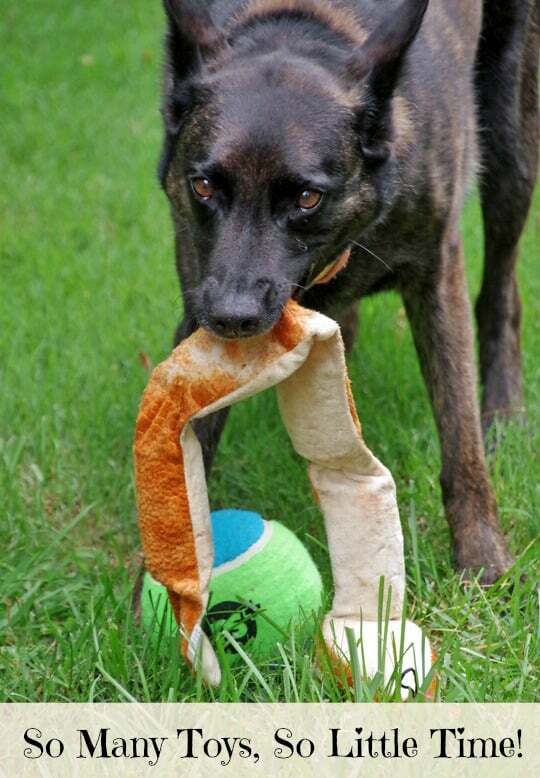 Our Dutch Shepherd, Teyla (AKA Naughty!) keeps us on our toes! Even though we aren’t doing dog training as a competitive sport anymore, we work with her regularly just to keep her busy and give her a job to do besides chase the squirrels! If you have a dog at home (or are thinking of getting a dog!) you should definitely work some dog training into your daily schedule. A well trained dog is a happy dog and one that is much less likely to end up in a shelter! To get you started on your dog training journey, keep these tips in mind! Make sure your pup is healthy before you start. Knowing about any aches and pains, hearing issues, vision problems, etc will make dog training easier. Start with a hungry dog! Most dogs will work well for food so try getting in a few minutes of dog training right before a meal and use small treats as rewards. Know what motivates your dog. Mine will do just about anything for a ball or squeaky toy. Invest in a new toy or two and only bring it out during dog training. Keep distractions to a minimum. Trying to train your dog on a sidewalk with cars rushing by may just be too difficult for your dog. Choose a quiet area with few distractions until your dog is familiar with the commands. Then, once they know what you are asking of them, you can work in a few distractions. Use reward based, positive training methods to start with. Never scold a dog for not doing what it is asked if it does not understand the question. Once the dog knows the command solidly, then you can bring in ‘NO’ or a corrective sound when a mistake is made. Dog training can be a ton of fun for both you AND the dog. Don’t have a dog? You can train other pets as well! We have a Sun Conure that we have trained to play dead, shake our finger, and fetch a small spool of thread. Yes, it takes patience to train a bird (or cat, dog, ferret, etc) but having a well trained pet makes them much easier to live with! Now, if only I could train the lizards to do something interesting. Despite my daughter’s best attempts, they pretty much just sit there and look bored! Pet Appreciation Week is coming up June 1 through June 7 and this is a great time to spoil the animals that bring such joy into our lives. 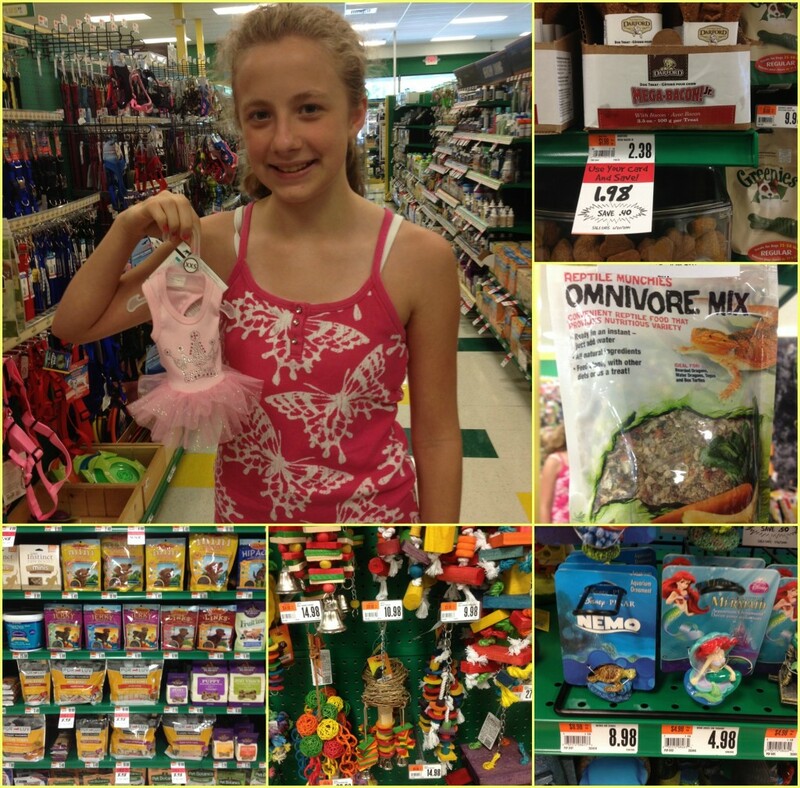 Pets have needs and wants and just about all of them can be found at Pet Supplies Plus! I made my first trip there last week and was amazed at the selection! No matter what kind of pet you have at home, you will find something to treat them with for Pet Appreciation Week! We found all natural treats for Teyla (Rabbit based treats I have never seen before!) as well as more toys than you can imagine! And we bought quite a few of them! We had a blast testing them out and she was so excited to see what would come out of the bag next! 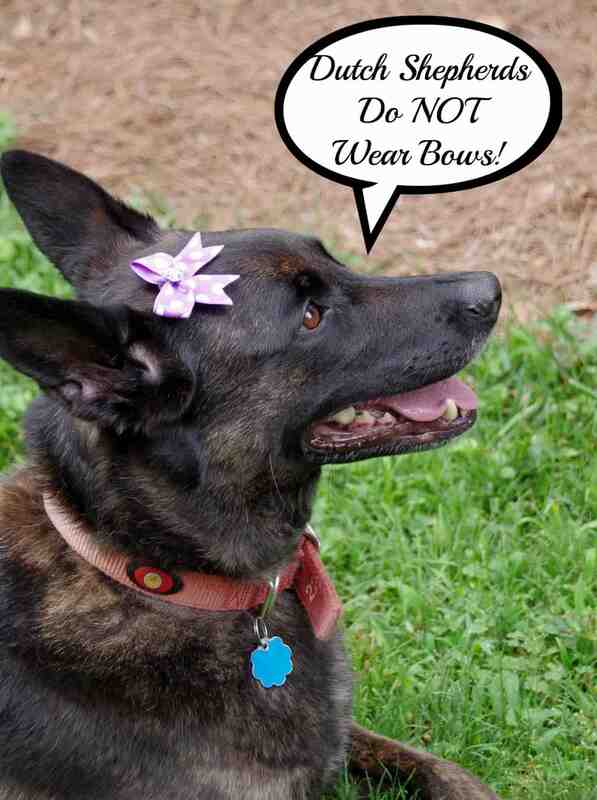 She was NOT, however, impressed with the bows we bought her. But, at least we didn’t try fitting her into a dress! Of course, I couldn’t leave the store without buying Petri the bird something and the bearded dragons got some delicious new lizard kibble and even the fish (who remain unnamed because their turnover rate is way too high) got some new food. 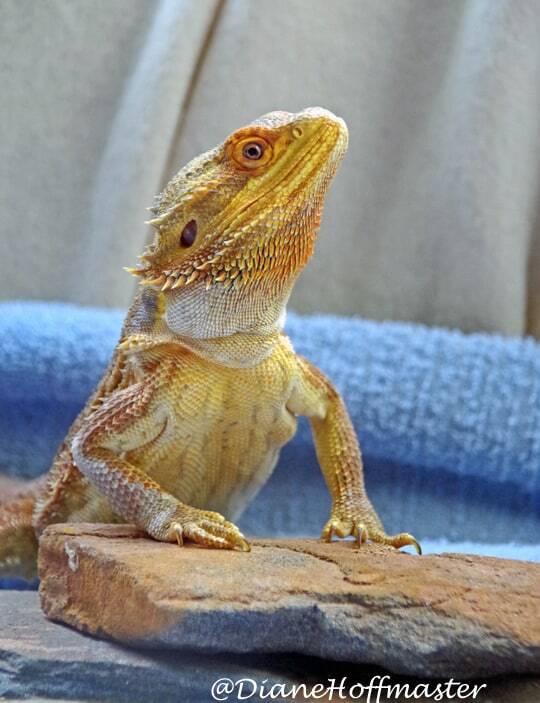 My daughter tried convincing me we needed to buy another bearded dragon or a ferret while we were there but since there are already more animals in this house than humans I denied that request vehemently! Remember to spoil your pets this Pet Appreciation Week and consider taking up dog training to teach your canine a few new tricks! Don’t just stop with boring old sit and stay! While those are incredibly helpful, dogs are so smart you can teach them all sorts of crazy things. Teach your pup to turn in circles, fetch the newspaper, turn off the light or whatever else you think they can learn. Check out Teyla’s video below for some not so impressive dog training! And please excuse the poor video taping skills! It is incredibly hard to record yourself training a dog! June 1-7 is Pet Appreciation Week, and we’re celebrating with a Twitter party to talk about our pets and share tips on proper pet care. Pet Supplies Plus is dedicated to helping pet owners find the best foods, treats and toys for each pet’s individual needs. They carry a broad selection and serve as an excellent resource for pet owners on everything from nutrition to how diet can affect pets’ behavior. 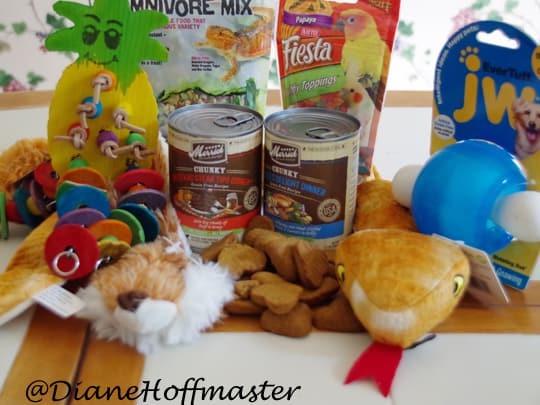 Prizes: Throughout the party, we will give away six $25 Pet Supplies Plus gift cards to randomly selected participants who correctly answer trivia questions tweeted by @theMotherhood25. Prizes are limited to U.S. participants only. Check here to find a store near you to use the gift card! Pet Supplies Plus would like to give one of my readers a $25 gift card to use to spoil their own pets with. This is a Giveaway Tools contest so follow the directions below to enter. Fabulous tips! Wish we had a Pet Supplies Plus near us, but super impressed with the amount of information on their website. Hope we'll see one soon in our neck o' the woods! They had a great selection and Teyla was SO thrilled with all her new toys! NOT so thrilled with the bow my daughter insisted on! I never thought about starting with a hungry dog. What a great idea. We are still trying to train our 8-month old black lab. He's doing good, but I could always use more tips, you know! Thanks for sharing these. Good luck! Labs are high energy and very smart. Give them a job and lots of exercise and you will have a happy pup! Wow these are super tips! Don't think we have this store in our neck of the woods. Love that bow!! I thought it looked cute for the 5 minutes she left it on her head! I feel like they need some excitement in their lives but really, they are not big fans of excitement! I grew up with pets, but I do not have one now. I liked the suggestions/tips you shared - very practical for pet owners. My sweet pets include my German Shepherd, Toby, and my two cats, Peanut and Lucky. I will have to do something special for them for Pet Appreciation Week! I am a huge German Shepherd fan! I have several feline companions and also do kitten rescue. I have one sweet cat in my family. Thanks so much for the kind words! 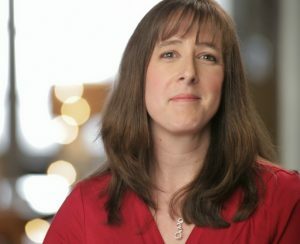 As someone who lived and breathed dog training for many years, it is a topic near and dear to my heart. Dogs live to please and need a job...even the lap dogs! Our shepherds would go nuts without something to do! Thanks so much for wanting to share with your readers. I had a wonderful time on this campaign! I have a cat and a dog, both rescues who I love very much and they love me ! We have a Lab named Ty, a Weiner dog named Oscar and a cat named Charlie. I have a rescue dog named Rotten! I have a turtle and two fishies. Because my dogs like to shred every toy they get, we only have Kong toys and thick bones. We have 3 dogs (Lab, Chihuahua, and Pomchi) and a parakeet. I have a 14 year-old min pin. I have 3 dogs. 2 boxers and 1 very old pug! We have two Min Pins and a Pit, as well as some fish. I have a dog name Buddy and a cat named Chloe! I have both dogs and cats in our home. They are our children. The only pet I have at home is a beautiful cat named Sophie. She is the queen of the house. My husband has an old gray cat at his shop named Tom. He is the pauper...lol. We love our cats! We have a Pom A Poo named Saydee and a Yorkie named Cutie, they are my babies. We have a shelter dog. I have a dog, two cats, two ferrets and a bearded dragon. It's a lot of work but worth it! I have a cat named Desiree who is five years old.